Clapham Junction geographically should be considered part of Battersea but is generally accepted to be part of Clapham instead. Lying south west of London, it’s a vibrant area which is popular with young professionals and graduates. Alongside the many bars and restaurants are family attractions too such as Battersea Park Children’s Zoo. Clapham Junction is renowned for being the busiest station in the country with many different train lines. It is possible to reach the region by road too, with the A3 running just south of the station. Lanes School of Driving has been teaching local people how to drive for more than a century. First established in 1914, Lanes has grown from a modest beginning to become one of the largest independent driving schools in the UK with a fleet of around 100 cars. We offer the very best and pride ourselves on excellence making sure that each one of our students receives a carefully constructed lesson plan that has been created specifically to meet their needs. We know that it can be difficult trying to find time for driving lessons alongside your usual daily routine so we make things as easy as possible by collecting you and dropping you off at your home address. You’ll always receive one-on-one instruction without any distraction of other students in the same car. Lanes provide our students with every possible advantage and this means cars fitted with the latest technology. This combined with the vast experience and know-how from our driving instructors means that you are guaranteed to have the best experience. We have been teaching students to drive in Clapham Junction for many years. To join the list of successful students, get in touch with us today on 020 8166 5678 or send us an email through our contact page by clicking here. Here at Lanes, we have a large team of driving instructors who have been teaching for decades. This vast wealth of experience is combined with the highest UK qualification, the DSA Approved Driving Instructor. This means you can have complete confidence that your instructor is properly trained to teach you to drive. Lanes appreciates the value of a good relationship between the instructor and their student so you’ll have the reassurance of the same instructor for each lesson. 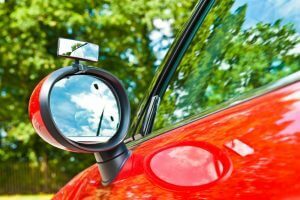 This instructor will craft a personalised set of lesson plans to teach you to learn to drive at the pace which suits you. We have many driving instructors in Clapham Junction. Give us a call today on 020 8166 5678 or email us via our contact page by clicking here. 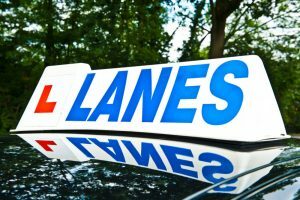 At Lanes we pride ourselves on only having driving instructors who are patient and understanding to make sure every student has a relaxed atmosphere while they are learning to drive. However, it can be quite daunting and some female students will naturally prefer a female driving instructor. We have plenty of female driving instructors in both Clapham Junction and the surrounding areas and are always happy to accommodate this request. To find out more or book a female driving instructor call Lanes on 020 8166 5678 or send us an email by clicking here. A manual car offers a far greater degree of precision with the gears, but many of our students prefer an automatic car. This is because they are far easier to learn in and less intimidating for those just starting out. In an automatic car, there’s no way to stall and gear changes are smooth, not requiring any manual intervention. This allows the student to simply concentrate on learning the rest and allows a much faster rate of progress. To book your automatic driving lesson in Clapham Junction or to find out more, send us an email through our contact page by clicking here. Alternatively get in touch by giving us a call on 020 8166 5678.